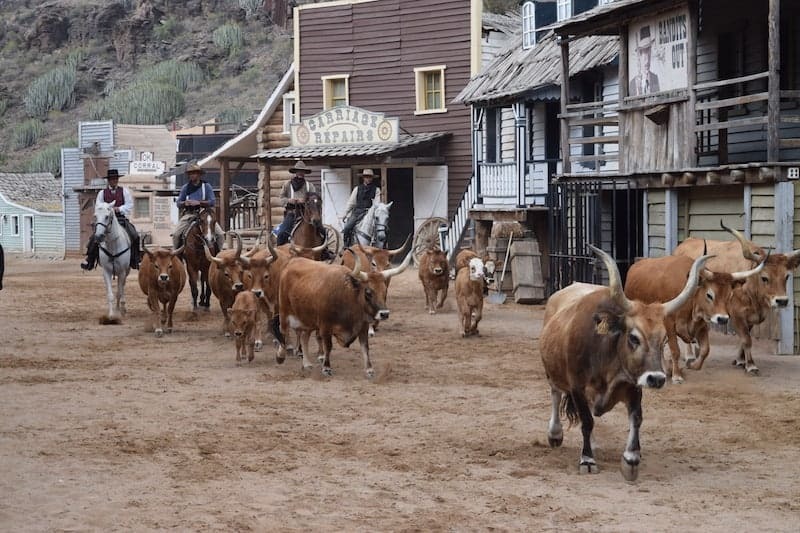 Transport yourself, in Sioux City Gran Canaria, to the Wild West and feel like a cowboy in an unforgettable adventure in a real Western city. 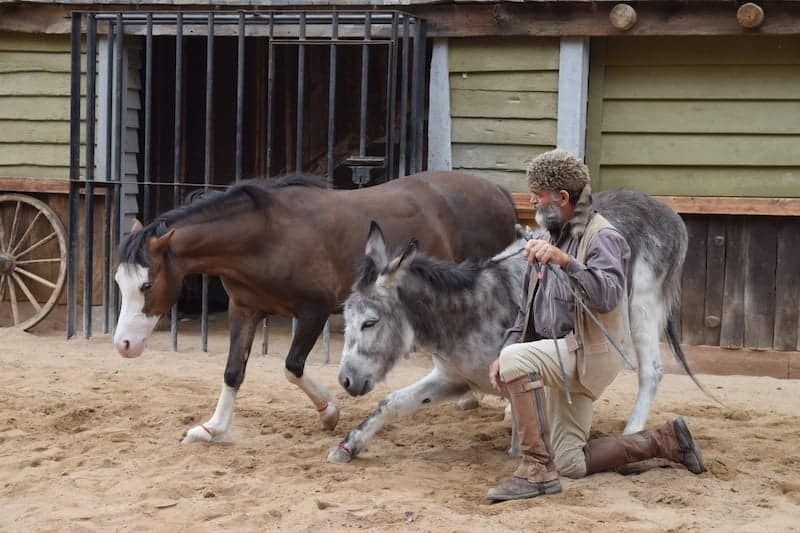 Have fun with our shows where we recreate, with lots of humour, histories of the old Wild West. 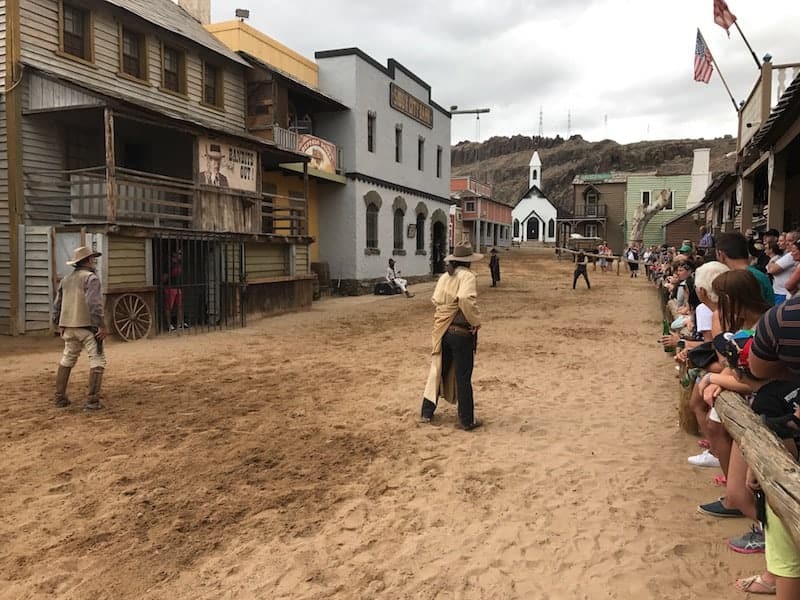 Walking the cattle through the village, bank assaults, duels, fights, dancing, throwing axes and knives, as well as other entertainment will make you live an unforgettable experience. 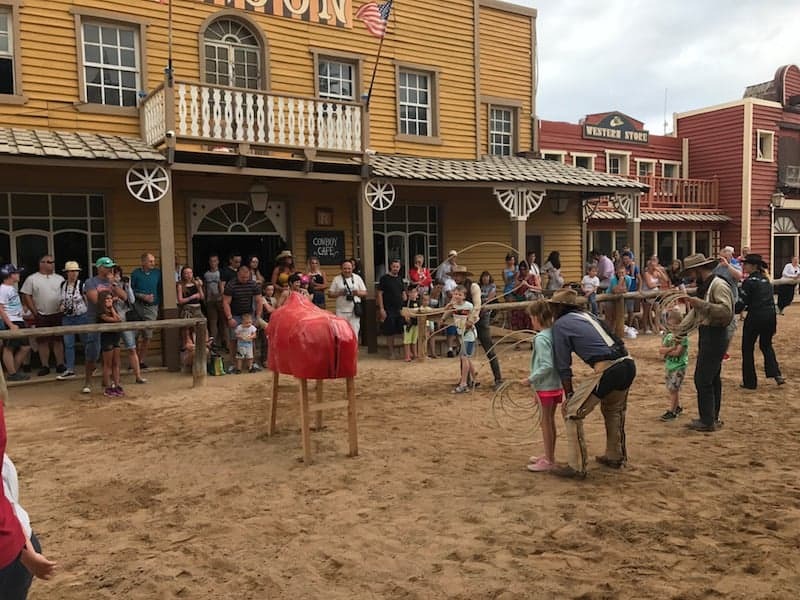 Sioux City puts a visit to the far west at your fingertips. Sioux City is located in San Agustin, in the Cañon del Aguila, in the southern area of ​​Gran Canaria (Las Palmas de Gran Canaria), and only 10 minutes from Playa del Ingles and Maspalomas. 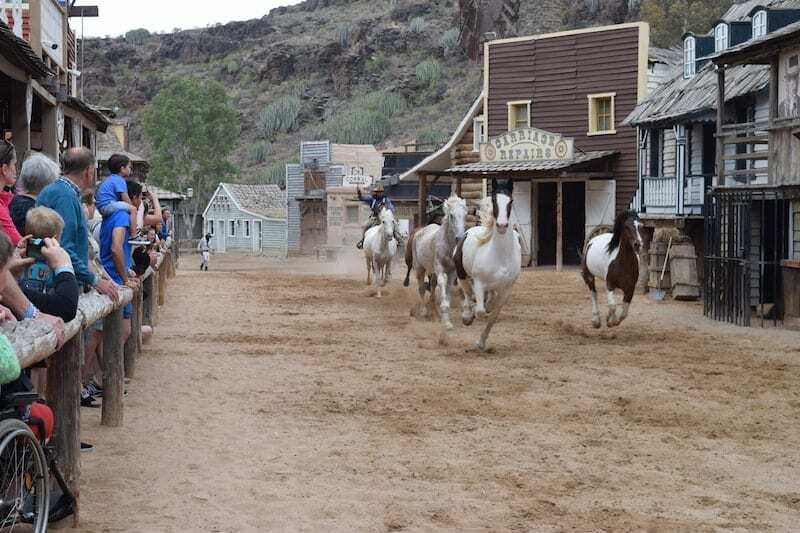 The town, the surroundings, the environment and the shows of Sioux City will take you to the American Wild West of 1857. The horse whisperer with the horse Rubi and the donkey Margarita. 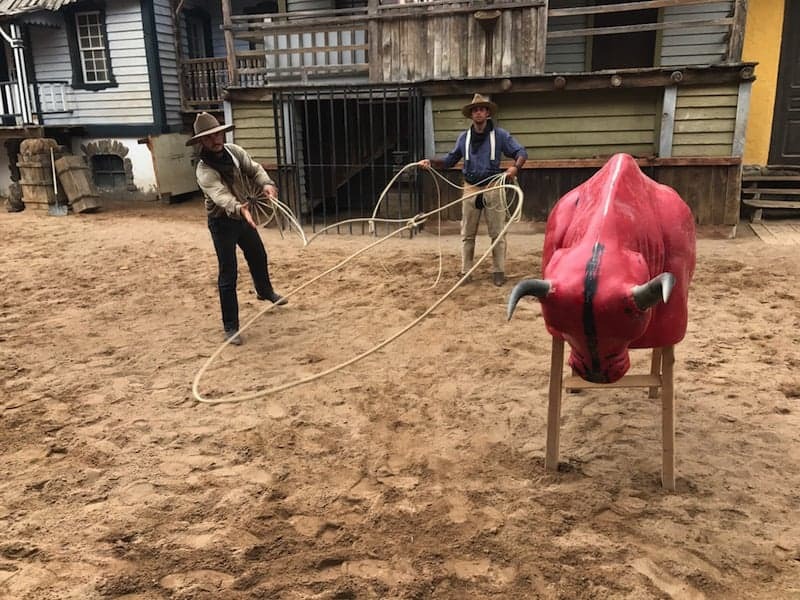 Lassoing techniques that you can also participate in. The great show of the wild west, with the passing of cattle, sends wild horses, assaults the bank, etc. Knife and ax throwing plus a whip handling demonstration. Show of Miss Dolly and the bandits. From Tuesday to Friday, eat meals in the lounge from a varied menu: hamburgers, pizzas, hot dogs, salads, etc. On weekends, enjoy a barbecue buffet. 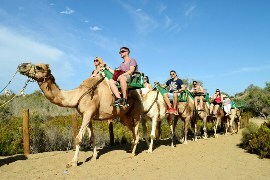 Sioux City offers a bus with free pick-up in the south of Gran Canaria if you book 2 days in advance. You must indicate the name of your hotel or accommodation on your reservation, and you will be sent an email with the location of the nearest stop. The day in Sioux City felt short. It is definitely worth it. 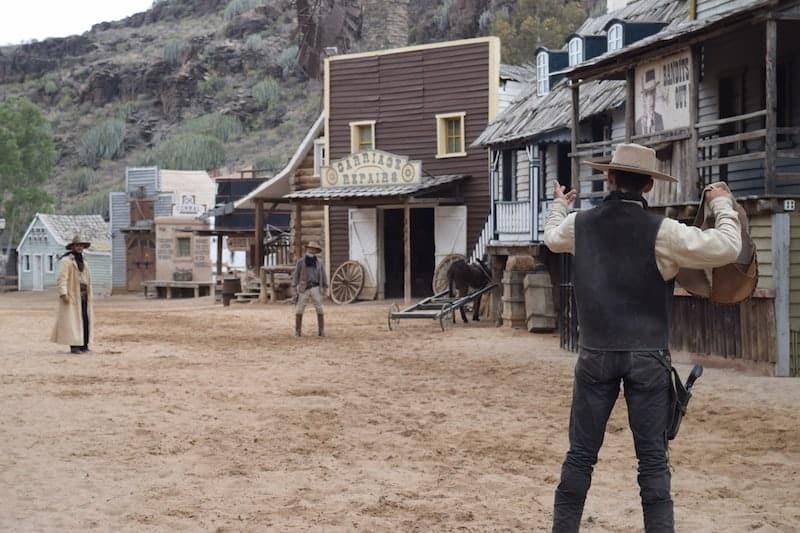 The bank robbery in the authentic western film style was amazing. I loved it. 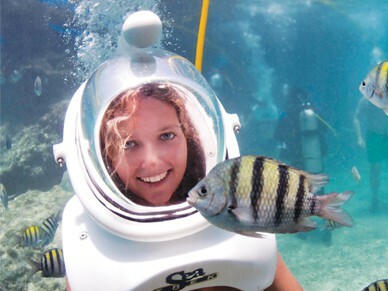 They involve the children in the activities which makes them have a better time. My son already wants to go back. Very well organized guys. This is a must for young or old. It's probably our best day out in gran canaria. 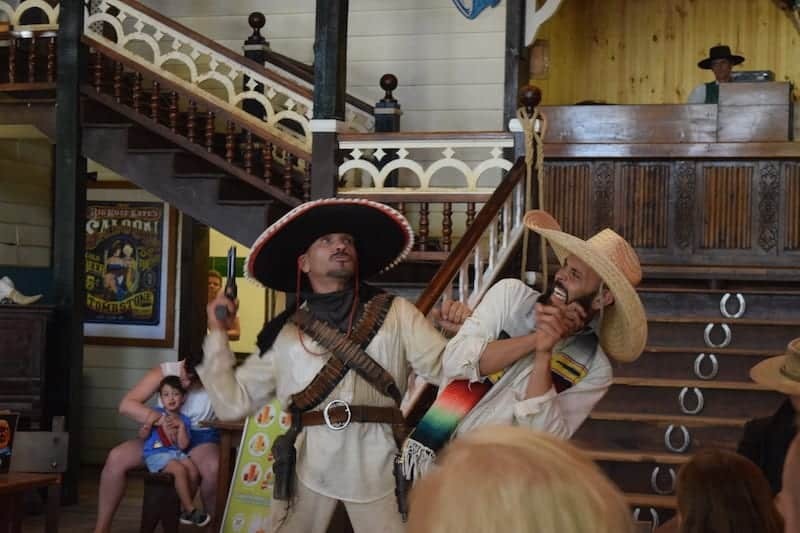 It's just like stepping into western times, everything is themed and well thought out. The prices for food, gift shop etc are very reasonable and there is a free coach. If we had time we would have gone back again. Gets top marks from us, we are already looking at dates to return next year with a group. This is my second time and I again left with a smile on my face. It should be advertised much more on the island. These people do a fantastic job. A very nice and different experience, with a familiar and exceptional treatment. I went with a group of friends to do something different and it was worth it. The Wild West decor is great. My family and I had an amazing time and we will definitely go back. It really feels like a Wild West town. I had an amazing time with my friends. Highly recommended. I completely recommended if you want to have a different and entertaining day. The staff was very kind to the children at all times. Visiting it is definitely worth it. We didn't find John Wayne but we did have a great time. Highly recommended. It's still worth the visit. Really enjoyed the shows. Very funny and great fun to watch. The indoor show was very good too. The set is fantastic and very realistic. 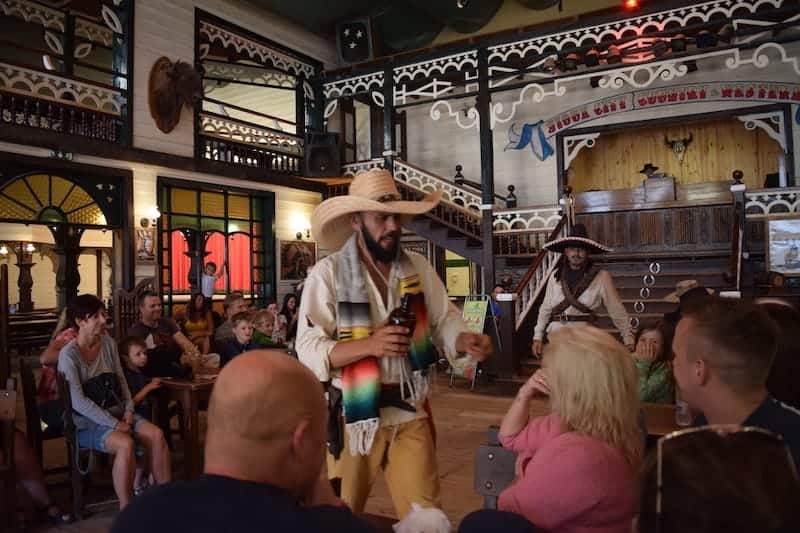 Food in the saloon was actually quite reasonably priced compared to the uk. Its a good visit for 4hrs or so but not a whole day. That sad i thought the entry price was fair. Staff were all freindly and heloful. Kids really enjoyed it. Well done! Collection service. Please find in the list the collection point that is closer to your accomodation.